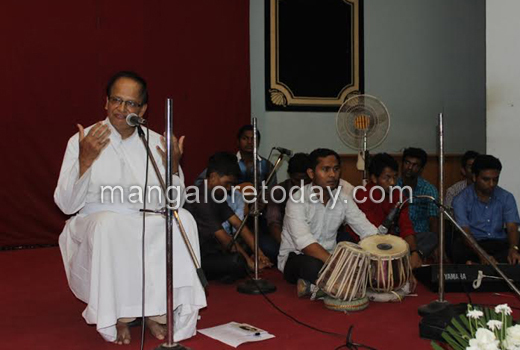 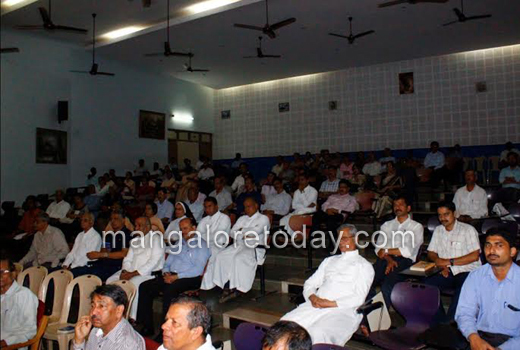 Mangaluru, Jul 26,2015: An inter religious condolence prayer meet has been held at St Aloysius College where admirers and friends of Rev Fr Ronnie Prabhu SJ, former rector of St Aloysius College and Former Provincial of Karnataka Jesuit Province, gathered in large numbers to pay homage to the ‘smiling father’. 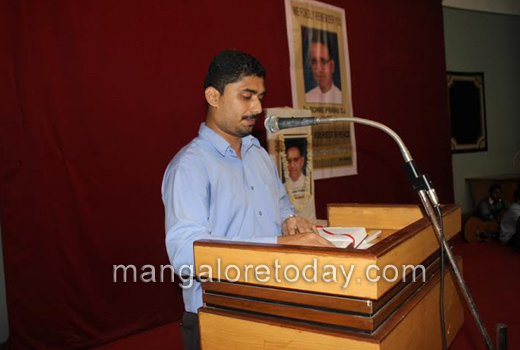 Verses from the Geeta, Quran and Holy Bible were read followed by heartfelt homage by Dr Vinay Hegde, Fr Ronnie Prabhu’s former classmate and close associate. 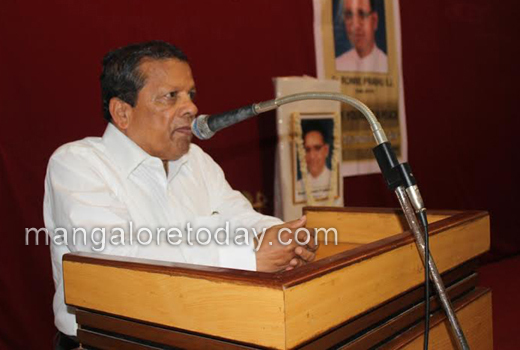 Dr Hegde said Fr Ronnie never ceased hoping in tolerance between religions till his last breath and worked tirelessly in his life for increased tolerance among various religions. 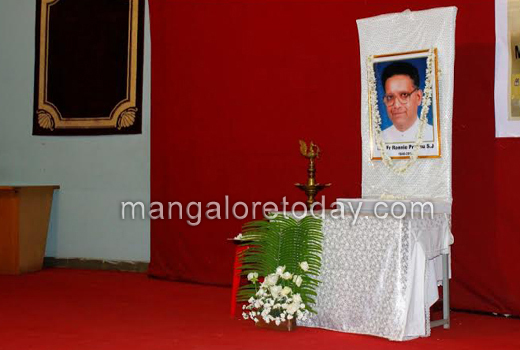 Other dignitaries who paid homage were Yenepoya Javed, who remembered Fr Ronnie from his time as a student in St Aloysius College and his deep association with Fr Ronnie after completing his studies. 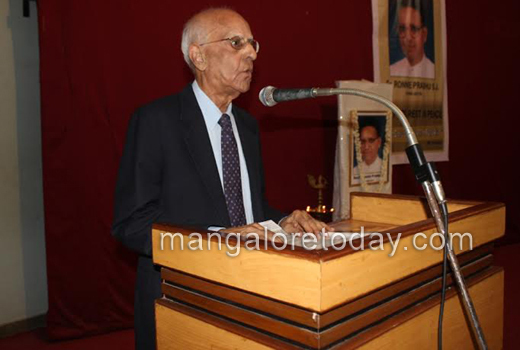 Joe Gonzalez said that we should celebrate Fr Ronnie’s life and led a standing ovation in honour of ‘a great life led with simplicity and humility’. 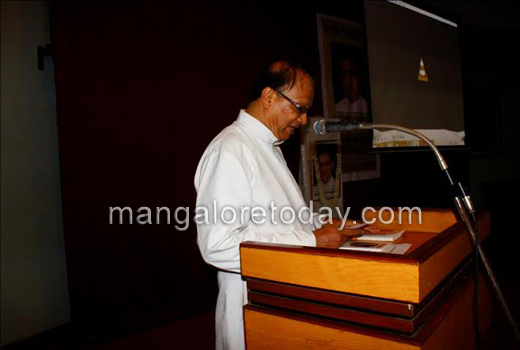 Rev Fr Denzil Lobo SJ spoke on behalf of the management of St Aloysius Institutions and led the members of audience in a touching bhajan dedicated to the life of Fr Ronnie Prabhu.